Losing bonus points will only be picked up for finishing within five points or less of the winning team. 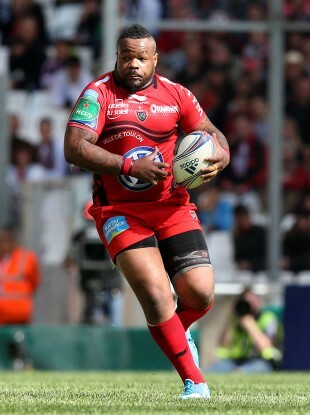 Mathieu Bastareaud's Toulon are the current Top 14 leaders. THE LIGUE NATIONALE De Rugby [LNR] has announced a raft of rule changes that will be brought into action in the Top 14 and Pro D2 from next season with the release of their ‘New Deal’. Developing the academies, improving the attractiveness of the games, consolidating the clubs’ already strong financial positions and improving stadia are the motivating reasons behind these alterations. Losing bonus points will now only be awarded if the defeated team finishes within five or less points of the winners, rather than the current seven or less. Furthermore, the one-minute time allowance for place-kicks will be imposed far more strictly by referees. In order to improve the league’s infamously poor discipline, any player who accumulates three yellow cards in the regular season will serve an automatic one-match ban. The LNR has indicated that clubs who bring home-grown players through to senior team level will now be financially rewarded throughout that players’ career, with the fees depending on the individual’s salary. More imposingly, French clubs will be required to include 12 JIFF/academy players in their match day squads from next season onwards, rising to 14 by the 2016/17 campaign. Failing to do so would mean clubs suffering a reduction in their share of TV rights money. Joueurs issus des filières de formation [JIFF] are players who have spent at least three years licensed to the Fédération Française de Rugby [French Rugby Union] before reaching the age of 21, meaning that clubs may actually turn to bringing in foreign players at younger ages. In a move that may be of interest to leagues elsewhere in the world, the LNR will relax the rules around loan moves involving promising young players. The idea is to promote more short-term transfers in the hope of increasing the national team’s player pool. Changes to the Salary Cap rulings appear to lend the Top 14 clubs increased spending power, particularly given that any club that has a player named in the 30-man France squad will be allowed an additional €100,000 on their cap. That figure is intended to compensate for the time the player spends away from his club, and means that a side with five international players would operate with a cap of €10.5 million rather than the normal €10 million limit. Furthermore, the salaries of players on espoirs contracts [academy/development deals] will not be included in final salary cap figures, although a collective limit of €650,000 per club applies in this regard. Interestingly, the LNR has outlined that it will ”punish behaviour which heavily damages the image of the league,” although there are no further specifics included in their press release this afternoon. It is believed that the constant sniping of Toulon president Mourad Boudjellal may be the inspiration behind this increased focus on protecting perceptions of the Top 14 and Pro D2. Email “New French club rules aiming to increase attractiveness of play in Top 14”. Feedback on “New French club rules aiming to increase attractiveness of play in Top 14”.